Jiangsu’s CCPIT (China Council for the Promotion of International Trade) is hosting the “2017 North America Intellectual Property Application & Project Cooperation Conference” in Nanjing on April 26-27, 2017. The NIC is invited to participate through the Canadian government Office in Nanjing by Vice Director Mr. Cong of the CCPIT. 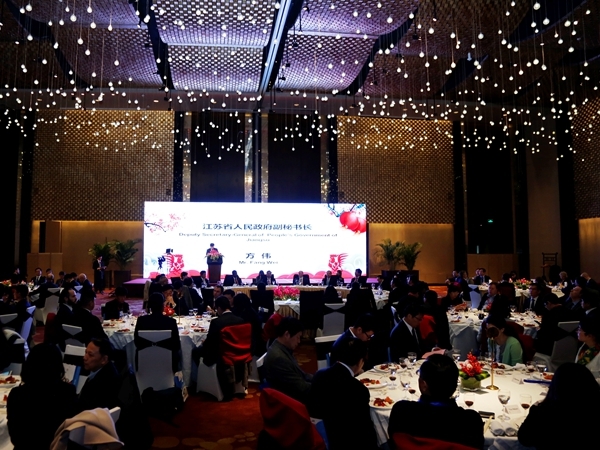 Hosts: CCPIT Jiangsu Sub-Council, Council of American States in China, Consulate General of Canada in Shanghai, Ministry of International Trade of British Columbia, etc. China Council for the Promotion of International Trade, Jiangsu Sub-Council (CCPIT, Jiangsu Sub-Council), founded in September 1963, is a provincial branch of China Council for the Promotion of International Trade (CCPIT) and also a nongovernmental foreign trade and economy organization consisting of notable persons, enterprises, associations and organizations in the economic and trade field of Jiangsu Province. It is an institution directly affiliated to and under the leadership of the People’s Government of Jiangsu Province.